As the industry’s leading source of hydraulic hose, die cut gaskets, sanitary hose, and accessories, Kent Rubber Supply offers a wide range of rubber services. Steadfastly committed to meeting – and exceeding – our customers’ needs, we strive to provide top-quality services at affordable, cost-efficient prices. Whether you need custom molded rubber, material testing, or die cutting, you can count on us to deliver the products and services that you need to keep your operation moving. In today’s post, we’re going to take a closer look at a few of the services that we offer. From your drawn concept, the team at Kent Rubber Supply can create completed gaskets and seals using a range of die cutting processes. We are able to produce your finished products in an array of materials, ensuring that you get exactly the product that you’re looking for. With the ability to test sheet materials for gaskets and other rubber applications, we can give you the confidence that you need in the products that you are using. We also have the ability to test all of our in-stock items and orders to ensure that you’re getting precisely what you need. Beyond helping you design the parts that you need, we can help you avoid costly production runs by producing prototypes. Saving you money and allowing you to be certain that you’re getting the products you require, we are dedicated to providing our customers with effective, cost-saving options. 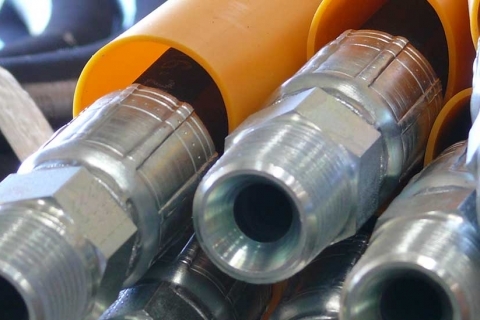 At Kent Rubber Supply, we aim to provide our customers with the absolute best hydraulic hose, gaskets and seals, and other rubber products on the market. If you’ve been searching for a proven, reliable, and cost-efficient partner who will help you source the best products available, contact us today to learn how we can help!